While Vintage Airways wasn't a commuter airline, it was often mistaken for one. 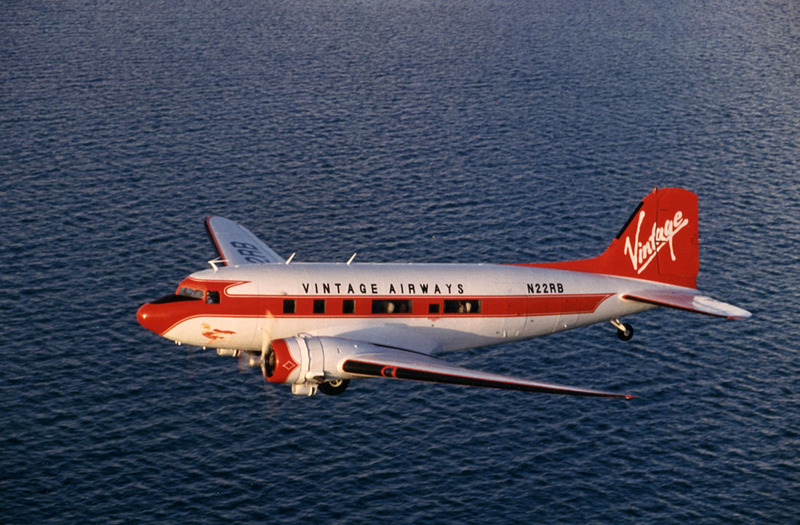 Founded by Richard Branson (hence the Virgin-esque paint scheme), Vintage operated 1940s-themed nostalgia air tour flights between Orlando and Key West as well as local sightseeing flights beginning in 1992. Flights were later moved from Orlando International Airport to the less congested Kissimmee airport and flights were also offered between Ft. Lauderdale and Key West. Brochure from 1993 emphasizing Vintage Airways' theme of 1940s nostalgia. Fly on a DC-3 and go back in time. Count me in! Flight attendants, dressed in 40s-style uniforms, handed out vintage Life magazines as big band music played over the p.a. system. 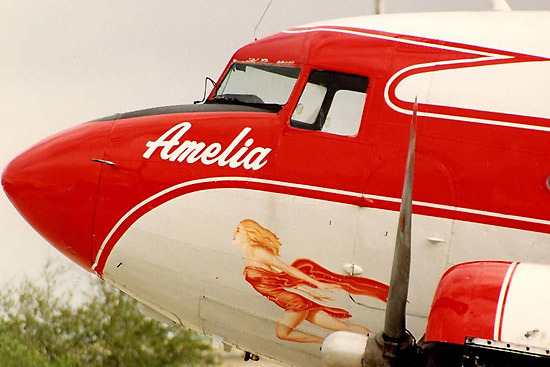 Close up of N12RB, aka "Amelia", shows the DC-3's distinctive insignia. The aircraft was named in honor of Amelia Earhart. Photo by Mark Fidler. Here's a video showing some great footage of Vintage Airways DC-3s in action.